First of all, I am going to admit that before I saw a few recent videos, I didn’t know that a new technique that some people are calling “balanced” training existed. After all, I believe in the core concepts of balanced training. I try and balance everything in my life or at least put it in its correct place. And, let me get this out of the way early on in this article; I do not believe that “purely positive” training exists. But the explanation for that belongs in another article. In fact, I think I will be expounding on this kind of training and positive reinforcement (clicker training) vs positive punishment (shock collars) in a number of upcoming articles. The truth is the world of dog training has changed. It has gone from giving a command and forcefully correcting and forcing the dog into position (old style dog training usually using a leash and choke or prong collar) to using primary reinforcers (food, toys, games or something the dog inherently wants) to shape behavior. And, a little of everything in between and back and forth; I say this because people are constantly taking dog training over the lines of extreme on both sides and trying to combine the two (more on that in a moment). Recently I had a slight disagreement with someone I was trying to help on the internet. I do, after all, get paid to train dogs and write dog training articles and therefore often moderate comments and questions. The person wanted to argue about WHY would she change the way that she trained (old school correction methods) when they had worked on so many dogs over the years. Interestingly, I don’t even have to give much of my opinion. I mean I am happy to share my dog training opinion and I do, often. But, in this case I can simply site science. Science has proven that R+/operant conditioning/positive reinforcement/shaping/clicker training is superior in teaching animals and aids in their learning. Simply put, it is superior. BF Skinner and Pavlov were certainly onto something back in the early 1900s. Science has proven over and over again that this is a grander way to learn. 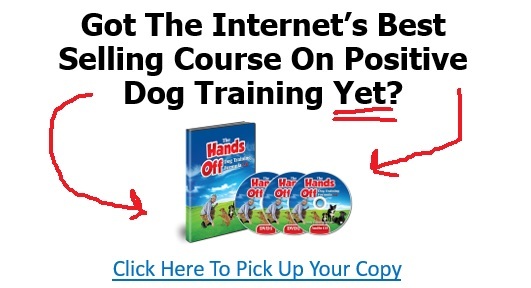 And, thankfully there are all kinds of studies out there that have been done on dogs, people, rats and all kinds of other mammals that show the power of a more positive based training. I think we can all admit, if we took a job in another country, where we didn’t speak the language. We would rather the people of the country use R+, clicker training, classical conditioning and shaping and rewarding good behavior to help us learn rather than P+ or smacking us in the face or sharply correcting us the moment we made a misstep. I think I would develop an ulcer in the former example. I personally don’t like getting in trouble or doing something wrong and personally am very critical of myself. I prefer praise and reward. So there is a fairly new concept traveling around called “Balanced” training or Neo Po Po ® as used by another dog trainer. Interestingly I believe in correcting bad behavior (just not physically) and working toward “balance” in my training. However, what people are calling “Balanced Dog Training” is a new technique where a clicker and positive reinforcement is used, but a shock collar is also used when the dog makes a mistake. There is a really interesting video on you tube where a trainer Andre Yeu, CPD-KA KPA CTP uses this technique on a willing human. The shock collar is strapped to her neck, he tests the level until he knows she can feel it and then he tries to shape a behavior (a behavior that she knows nothing about of course) so he rewards attempts made toward the goal (R+ or operant/clicker training) and he shocks her for mistakes or attempts that will not result toward the goal. The interesting part is, as a human, she KNOWS what she signed up for and what will happen ie: click or shock and the shock still terrifies her. You can watch in the video as she is afraid to make any attempts because she is petrified to get shocked. It is also interesting to note that he only shocks her a couple of times and then uses a negative marker (a word that was used with the shock) yet she is still worried that she will get shocked. Watch it, and then watch it again! Now imagine how your dog feels when you employ the use of a shock collar. And, remember that you are probably neither as proficient at using a clicker or a shock collar as the trainer in the video. I’ve read some of the comments, where people complain that the level is too high, however I think it is also easier for a human to communicate the correct level than it is to read the reaction of a dog. I think most people are not very proficient at reading dog pain and body language until the level is too high. I also know people who have used these tools who are convinced that using a “super high” and very painful level will actually work faster for them and alleviate some training. People are inevitably lazy, and think more is often better. After all not everyone is kind and not everyone understands how painful shock collars are; I have even heard some trainers trying to convince people that they are not painful. Not only are they painful, they are frightening and surprising. The dog, who does not possess the power of reason, has no idea why or when the shock will come. That’s why THIS method is the better way. Think it doesn’t hurt or cause fear? Check out this video of a shock collar placed in the seat of a bike. At best, even with the best trainer with impeccable timing and amazing communication and dog training skills a shock collar adds stress. And the truth is that it is difficult to learn and function with high or even low levels of stress. Stress can lead to headaches, stomach aches, chest pain and raised blood pressure. Stress costs American Industry 300 Billion a year according to OSHA. And before you say that stress isn’t so bad, or it can increase learning; allow me to strap a shock collar on you during or after learning. Remember, at least as a human you will know it is coming and maybe even why but it doesn’t mean that it would be fun or not stressful. Personally, I like to eliminate stress and increase fun and games for learning. I learn better when I find something fun and enjoyable and yet challenging (think video game). Most often I have seen shock collars create fear, undue frustration, and actually shut down an animal. In my opinion, the fastest way to shut down an animal is to add pain and fear. The easiest thing, the animal thinks, to do is to stop showing any behavior. Dogs actually “give up” and stop showing any behaviors. This makes it impossible to “capture behaviors” which is the easiest and least stressful way to communicate as cited by Psychology Today. And, I have literally witnessed dog trainers and handlers who then (when their dog gives up and shuts down) become so agitated that they shock the dog with more stimulation just to create movement or behavior. I find that sad and despicable. Most people would never think to train or interact with a child, who is learning, in this way. However, many humans simply are not patient and when something doesn’t work they get frustrated and the results are often not kind, much less indicative or complimentary to dog training or learning. And at worst, shock collars can actually create aggression. Pain and fear often cause fight or flight. If you are lucky, it will create flight in your dog. If you are unlucky it will create fight. Dogs who choose fight are often forced (or what they consider forced remember they think they are fighting for their life) into biting and aggression. For instance, someone grabs me in a dark alley. Can I run? Can I fight? Which is my best choice? If I feel that I can’t drop and run, my only option (in my mind) is to fight. And, I guarantee if put in this position I will be the most angry, evil fighter you have ever seen and I will do my best to win, or die trying. I would never be one to give in, or get in someone’s car. This is a terrible position to put your best friend in, and one that will likely change your relationship forever. I used to protection train with a guy who always used shock collars on his dogs. I remember one time he kept trying to shock his dog for not being compliant. Yet the dog was still not performing he turned up the collar time and time again, until finally he realized his crated dog in the back of his truck was the one incurring the shock. I cannot imagine how terrified she was to be shocked for absolutely no reason. He had simply forgot to turn the remote off one dog and to the other. There was another time that he was training with his male imported KNPV (police dog), he was trying to work on “place” and stay but the dog kept getting up. He (the handler) was frustrated and he will admit that he turned up the level too high. When the dog broke, he issued a high and fierce and unfair shock. The dog, faced with fear and immense pain, broke his stay and came flying down the field at his handler teeth bared and ready for a fight. Having received bite training (as a police dog) the handler knew the only thing he could do was offer the best body part for the dog to bite and then hopefully ask for a successful “out”. He will wear the scar from his mistake for the rest of his life. The worst thing that can happen from using positive techniques is perhaps late and confusing timing or a slightly chubby dog (if too many treats are used). But training with a marker or a clicker doesn’t cause pain, fear or immense conflict. I, for one, know which kind of puppy training I would prefer. And, I aim to treat my dogs the way I would want to be treated! Inside my DVD series on positive dog training, I show you step-by-step how I used Positive Reinforcement to cure my dog’s bad behaviors, so you can follow along with me to cure YOUR dog’s behavior problems at home, without spending a bunch of money on expensive trainers. Previous Post The Top 6 Dog Training Quotes of Dr. Ian DunbarNext Post The 9 Things Making Your Dog’s Aggression, WORSE! The video may have been great but you recorded it in a room with a lot of echo. I couldn’t understand anything that was said. Next time film in a room that deadens the sound (either smaller room or with some kind of sound deadening material around the walls) and then you will not be wasting yours and my time. Thanks. Wanted to add one last comment. The text of this article was very good. I agree with your premise that shock collars make for a confused or violent dog. I’ll never forget when the first radio fence came out, I put one around my yard for my dog. One night soon after I was watching TV when I picked up the remote and changed the channel only to have my dog let out a loud yelp and run to a nearby corner where he sat and trembled in fear. The remote’s frequency was the same as the collar. I immediately removed that collar and never used it again as I never wanted my dog to be in that much pain again. No humane owner would. These collars, although some may find them effective for training, are inhumane and the owners should be forced to wear these things. I’ll be glad to push the button for them. Excellent article!!! Thank you! The human factor of training dogs is the most difficult for me. You nailed every point! Bravo!!! Would you put a shock collar on any other member of your family? A naughty child for instance. Are we trying to develop fear in our dogs…..dread of the training session? Or do we want our “best friend” to look forward to the training session and be excited about receiving all that affirming love? My Pom was so excited going to class and so pleased with herself when she received praise. That was the all positive clicker method. You will never see a shock collar on anyone I love. You should look further into Skinner and valid arguments his detractors make. His laboratory experiments with rats do not necessarily translate outside of the laboratory and may not translate to other species. Likewise, you should learn how trainers use an e-collar before asserting that the only way to use it is to punish the dog with a shock when the dog fails to complete a command. Incorrectly training a dog with a clicker can lead to the dog constantly working to try and earn a treat. Notice that I said “incorrectly” using a clicker. The tool can be used correctly or incorrectly. It is a valuable tool that is very helpful when used correctly. Using it incorrectly can create an addictive relationship that contributes to restlessness in the dog. That makes no sense, a dog that is working for a treat and is ignored will stop working. Those of us who clicker train want a dog that is engaged and show a variety of behaviors without fear. We reward what we want, we ignore what we don’t want; it is very simple and is not painful or scarring. It should be against the law to use a clicker or collar that shocks a dog. This article made me cry. I couldn’t imagine doing this to my two baby dogs. Anyone caught doing this should have their pets removed from them. 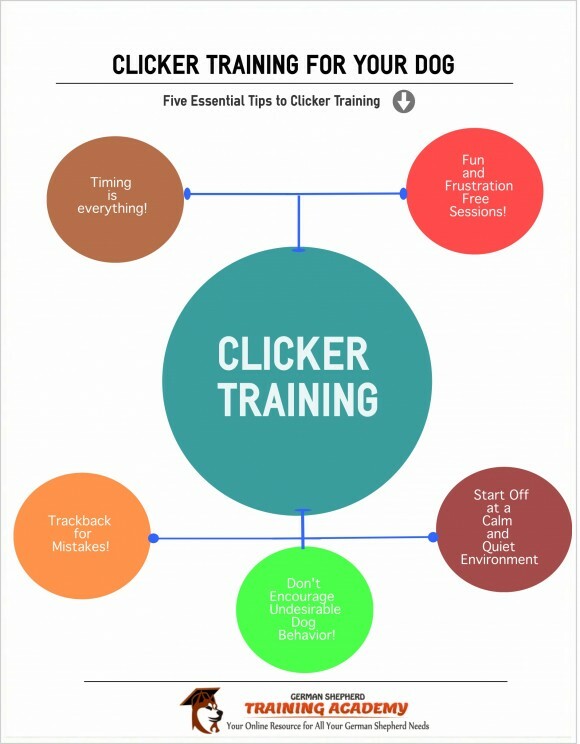 You’re right about almost everything but I will disagree that clicker training can’t ever create unwanted behaviours when used incorrectly. I do think that you can reward the wrong behaviours if your timing is off or the dog is in the wrong state of mind when you click. This isn’t a problem for most behaviours you teach, as you can improve your timing, start over again, and eventually get the desired behaviour – but it can be bad if you’re trying to counter condition your dog out of being fearful or reactive to some trigger. You could reinforce the fearful state or the reaction (lunging barking and snapping for example) instead of the desired state / reaction (calm and unafraid) and unintentionally make the dog more reactive or make the dog escalate it’s reaction. Obviously this is the fault of the trainer not the method but the possibility does exist (I believe so anyway, if I am wrong and there are studies proving otherwise please do correct me). I still think clicker training has far LESS potential for teaching the wrong behaviour or exacerbating bad behaviour than force or pain based methods though, and I personally use positive methods myself when training as even minor “corrections” like “no” make my dog frustrated and upset (I would imagine a shock collar would make her aggressive and / or shut down and I would never use a pain based tool like that). I never said it couldn’t create unwanted behavior, but it is less likely to create aggressive behavior unless sincerely misused. I don’t believe in shocking my dog but sometime I will vibrate him on the lowest setting if he’s barking none stop. After just one or two vibrates he stops and Lys down or starts chewing a bone. Is that bad that I do this? ?